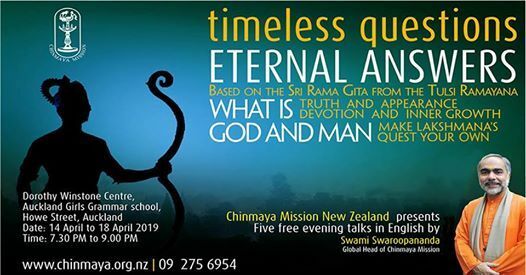 The Global Head of Chinmaya Mission, Swami Swaroopananda, will be giving a series of FREE evening talks in English in Dorothy Winstone Centre - Auckland Girls Grammar School. 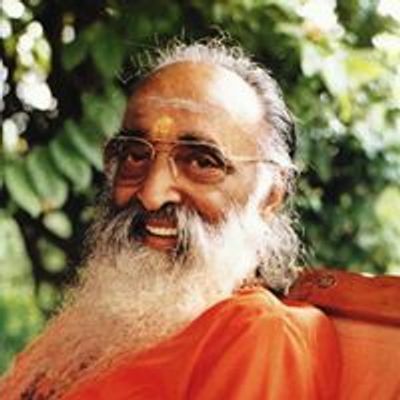 Don't miss this unique opportunity to learn from the master. These talks are based on key verses from the Sri Rama Gita from the Ramayan by Saint Tulsidas. Lakshman approaches his brother and guide, Lord Ram, whilst they are in exile in the forest and inquiries as to the nature of devotion, inner growth, Truth and God. 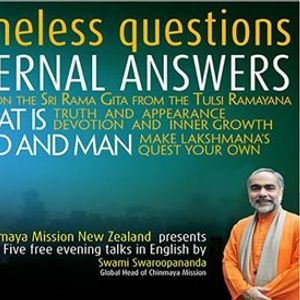 Lakshman, himself a knowledgeable person, is asking these questions for the benefit of mankind. Lakshman’s questions capture the essence of a seeker’s path of enquiry and remain as relevant today as they always have been. Over 5 evenings Swami Ji will reveal the profound answers to these timeless questions in a simple, humourous and captivating manner.